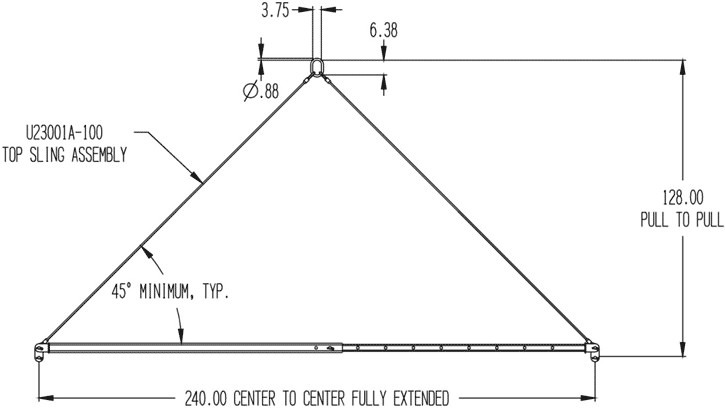 Bars can be designed for low sling angles. Special clevis ends means no shackles necessary. WEIGHT: Spreader: 315 LB. ; Sling: 77 LB.